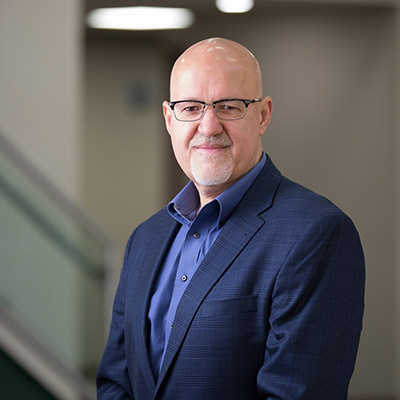 Steve Sciatto is the President, Creative and Prototype Services for Roush and serves on the company’s Executive Council, which oversees the company’s strategic growth and diversification initiatives. Mr. Sciatto began his career with Roush in 1982 and has held a variety of executive level positions within Roush Industries and Roush Racing. He was appointed to the company’s Executive Committee in 1987, and has headed its creative services, prototype development, fabrication, advanced composites, and vehicle assembly activities. Under Mr. Sciatto’s direction, Roush’s prototype section has grown to encompass over one million square feet of shop and studio space, housing services ranging from modeling, soft trim, wiring and electronics to show vehicle development, vehicle retrofits, and vehicle build programs.